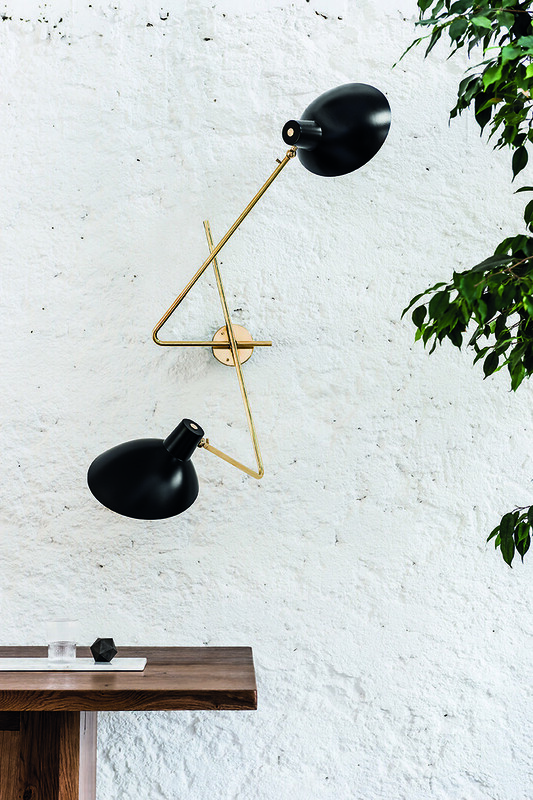 The VV Cinquanta Twin, which is now being relaunched by Danish Astep, is an elegant two-armed wall light. Mounted on a brass bracket, the two brass arms reach out in opposite directions. The two wide signature reflectors can be angled and rotated to provide both indirect and direct lighting simultaneously. A sculptural wall lamp with multiple lighting compositions. Designed in 1951 and re-issued by Astep, the VV Cinquanta Twin was first presented at Euroluce – Salone del Mobile 2017 in Milano and comes in a Brass/Black and Brass/White version. Architecture critics consider Vittoriano Viganò the most important Italian exponent of the architectural ‘Brutalism’ movement that flourished around the world from the 1950s to the mid-1970s. The VV Cinquanta is created from an innovative, mid-century Italian design spirit and embracing the values that are at the very heart of Astep: a progressive attitude, objects invented from a wish to make an impact and design that strives to enhance our daily lives. Starring a sophisticated, wide reflector, VV Cinquanta comes in four models, which translate the basic design idea into four unique expressions. The original colors are as vivid as when Viganò decided on the color scheme in 1951. They set the tone of a versatile lighting universe that can be quiet or more dynamic. 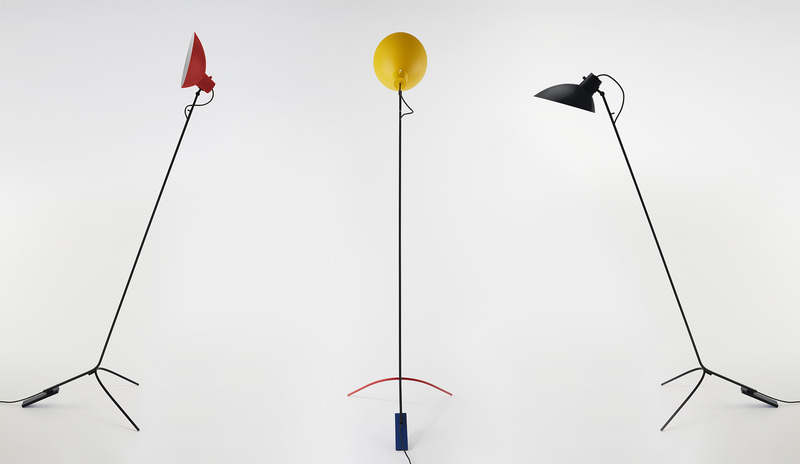 From white and black to red, yellow and blue, and from direct working light to upward lighting thanks to the master feature: the adjustable direct light source that can swivel and tilt.